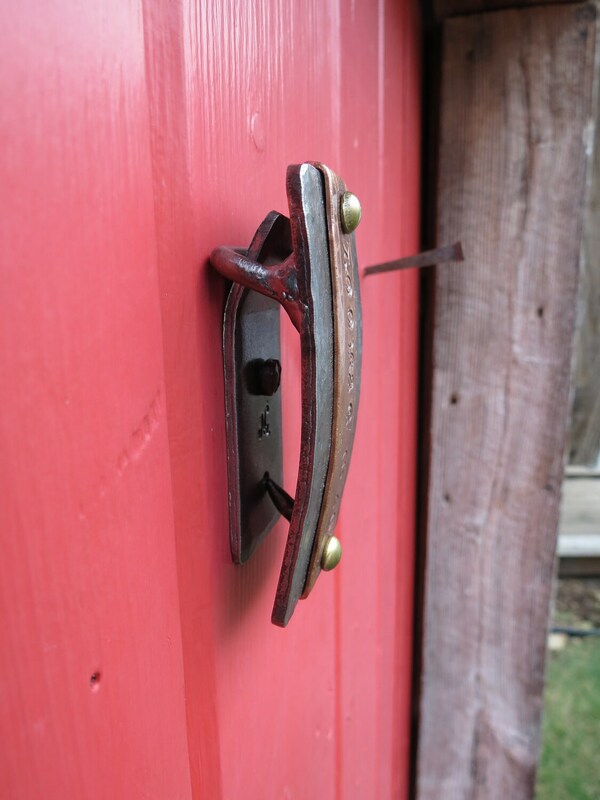 This simple yet elegant hook lets you display your favorite belt buckle. (This personalized hook would also work great for hanging a bathrobe). 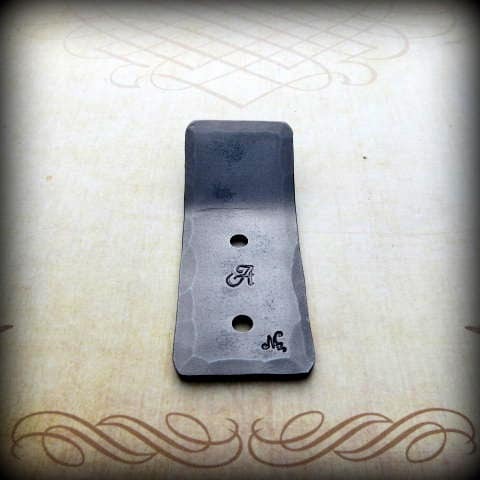 Why leave your beautiful belt or buckle at the bottom of your drawer when you can show it off right here on this piece of forged art. Hammered all around, the height of the buckle hook is approximately 3" and width is 1 1/4" so it will accept any buckle from 1 1/4" & up (buckles shown in photos are standard 1 1/2"). 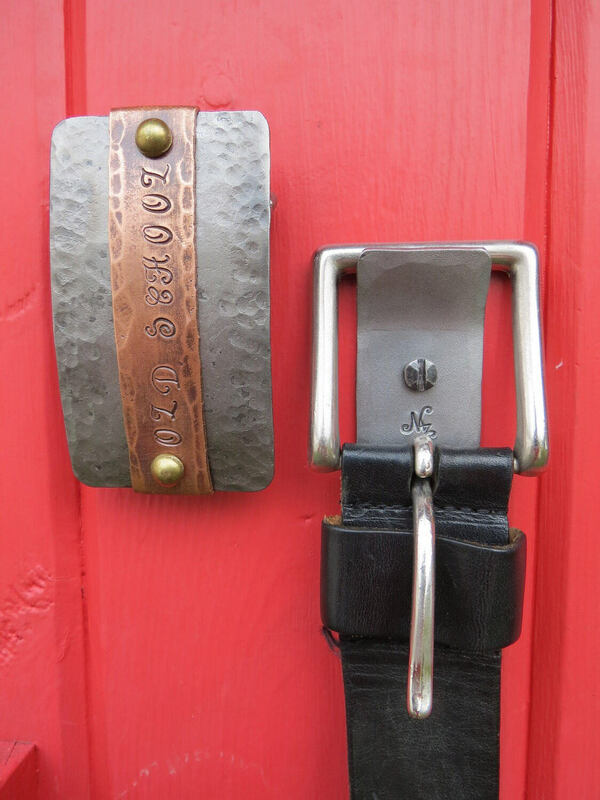 Price mentionned is for one personalized buckle hook. When you click on the "add to cart" button , you will be able to choose how many you would like and there will also be a "note to seller" section. 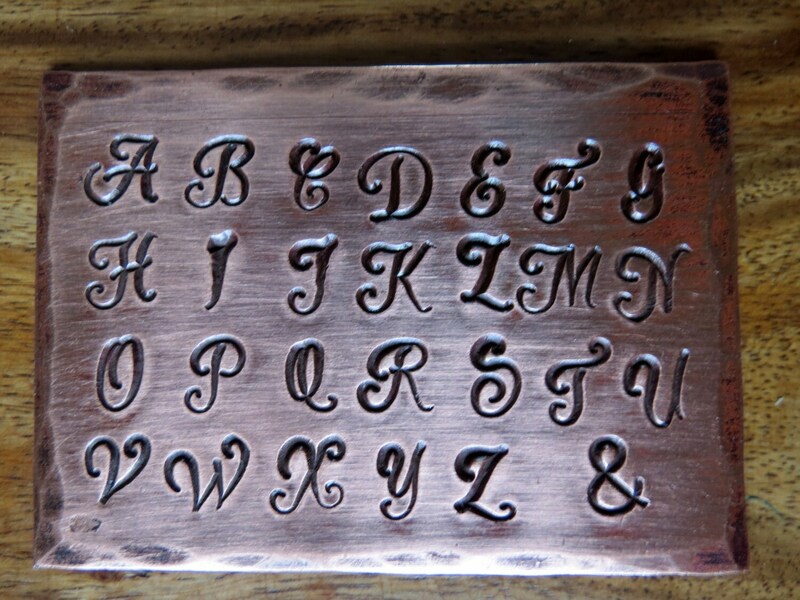 This is where you can write the initials you would like to have written on your personalized belt / buckle hook(s). You may refer to the last photo to see the style of letters that will be used. When you proceed to checkout I will receive your "quantity" and "note" and know exactly what to write on your belt / buckle hook(s). If you have any questions or to get an approximate of time delay that will be needed to make your hook(s), don't hesitate to contact me and I will gladly answer any questions. For cleaning, I use the wire brush followed by a light sand paper. This highlights the hammer marks. I heat everything up again and brush on a traditional blacksmith anti-corrosion treatment for inside ironwork applied at a low heat. 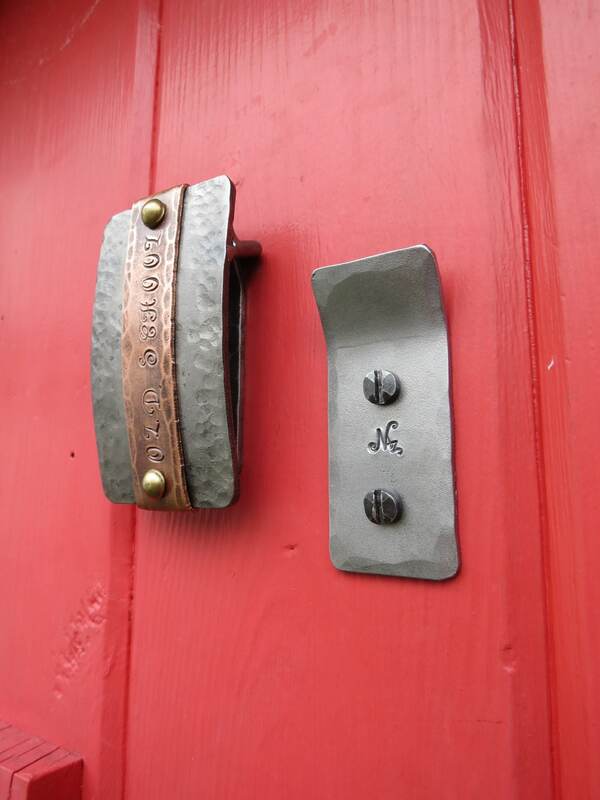 (This treatment contains beeswax and boiled linseed oil).I really like this finish as it leaves the bare metal to be seen with it's highlights and gives an excellent protection for inside ironwork. Note: The belt and buckle shown in photos are not included.